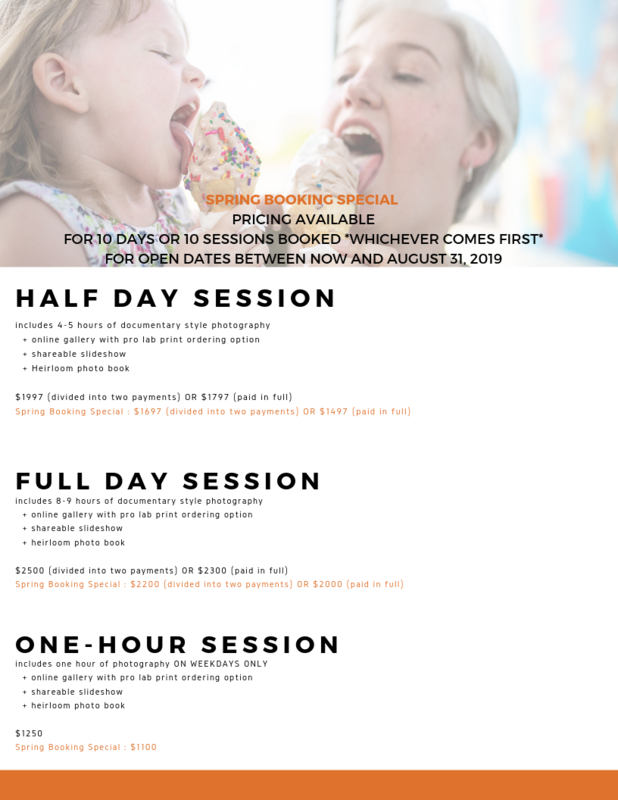 Spring Booking Special Details for Families! But really, I want to see you this summer! I want to make some pictures for you, as you hang out on the porch and drink iced tea while your kids play with the hose. To see the dog sopping wet and the kids in the plastic pool. To see their tan lines after a hike, and the freckles come out on your cheeks. I want to see dads cooking out, and moms cooking out, and kids eating corn on the cob. Whatever your ideal summer day is, you can have that in photos that last a lifetime. So let’s make sure it happens.